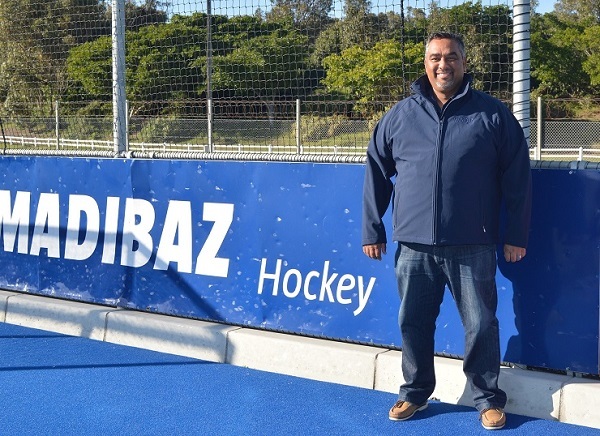 Having tasted what it is like to be involved at a national level, Madibaz Sport hockey manager Cheslyn Gie is keen to take his coaching career to the next level. After being included in the management team for the South African men’s side in the World League semi-finals in Johannesburg last month, Gie said he was keen to progress up the ranks. He said this taste of international hockey had given him motivation to improve even more as a coach. “One of my big aims is to do an International Hockey Federation (FIH) coaching course. There are very few coaches in SA with this qualification,” said Gie. Born and bred in Port Elizabeth, Gie has been coaching since a young age and has been in charge of the Nelson Mandela University premier league team since 2006. “Fabian Gregory, the national men’s coach, has been impressed with how we have developed the game at Mandela University in the past five years,” said Gie. He added that his work with the Addo Elephants, who lost in the final of the inaugural Premier Hockey League, saw him receive an opportunity as a trainer with the SA team for the Summer Series against the Netherlands, Germany, England and Belgium earlier this year. Gie said he had learnt a great deal under Gregory at the world tournament and was looking forward to implementing some of the ideas with the Madibaz teams. He has a simple coaching philosophy, believing “attack is the best form of defence”. However, he added that developing a player’s technical skills and contributing to their holistic development were also important elements. Watching a player and a team achieve their potential is the most satisfying part of being a coach, said Gie. Conversely, he added that it was frustrating when talented players did not reach their full potential. He lists his role at the World League semi-finals as one of his career highlights. Others include contesting four finals at the University Sport South Africa (USSA) tournament from 2012 to 2017, winning the EP premier league four times in the last five years and claiming the Junior Africa Cup with the SA U21 men’s team in Cairo in 2008.